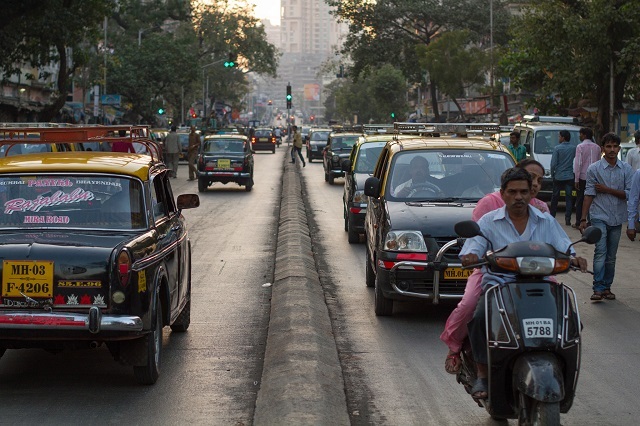 In July last year, Nitin Gadkari, India’s minister for road transport and highways, informed parliament that the country loses over 150,000 lives to road traffic accidents every year. More damningly, the country has only about 2 percent of the world’s motor vehicles but accounts for over 12 percent of its traffic accident deaths, making the Indian road network the most unsafe on the planet. Unsafe roads are a public health hazard, approaching, in India’s case, an epidemic that not only kills and maims but harms the country’s economic health. According to a study by the United Nations Economic and Social Commission for Asia and the Pacific, road traffic accidents cost India nearly 3 percent of its gross domestic product a year, or, in absolute terms, about $58 billion. Globally, the countries that have succeeded in reducing road accident deaths have done so by enacting strong laws for road safety. India, on the other hand, has been trying to strengthen its road safety legislation for three decades, to no avail. In 2014, the Bharatiya Janata Party government drafted the Road Transport and Safety Bill to replace the Motor Vehicles Act of 1988, which currently governs road safety in the country. But the law did not move beyond public consultation and was subsequently replaced by the Motor Vehicles Amendment Bill. The bill was passed by the Lok Sabha in April 2017 and sent to the Rajya Sabha, which referred it to a select committee in August 2017. When the bill was debated on Monday, the Trinamool Congress, DMK, left-wing parties and Aam Aadmi Party opposed the bill, contending that it diluted the powers of state governments. The Congress Party added that the legislation was aimed at helping corporations. The Motor Vehicles Amendment Bill proposes to increase the penalties for traffic violations. If the violations are committed by a juvenile driver, their guardian or the owner of their vehicle shall be held accountable. It also protects good Samaritans who come forward to help accident victims from civil or criminal liability. Further, the bill envisages a Motor Vehicle Accident Fund that will provide compulsory insurance coverage to all road users for certain types of accidents. Another crucial provision holds consultants, contractors and civic agencies accountable for poor design or construction and maintenance of roads. Lastly, the bill empowers the government to recall vehicles or vehicle parts that don’t meet the required standards and fine their manufacturers up to Rs 500 crore (about $73 million). In the meantime, though, some states have taken steps to improve road safety on their own. Haryana, for example, launched a “Vision Zero” program last year aimed at reducing road traffic fatalities to zero in the long term. It seems to have made a difference already as 10 districts where it was rolled out have reported up to 5 percent declines in road fatalities while the other 12 districts have witnessed an increase in such deaths. This month, Delhi’s state government approved a similar policy; it commits to a 10 percent reduction in accident deaths annually and targets “zero road fatalities” in the long run. A strong central legislation will only empower such states to work more effectively towards making their roads safer. Clearly, the need to pass the Motor Vehicles Amendment Bill urgently cannot be overstated. The original version of this article appeared on Scroll. Amit Bhatt is the Director of Integrated Transport at WRI India Ross Center.